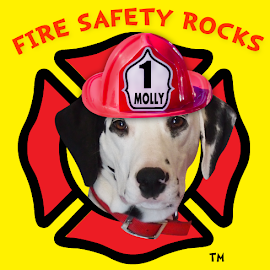 Fire Safety Rocks: Molly's 2nd Birthday! Cake by pattiCakes Bakery and photo by Bo Hagar. 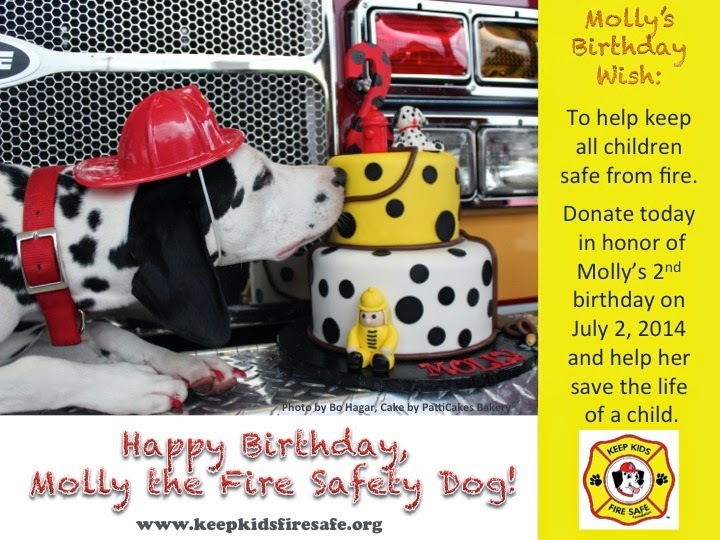 In lieu of gifts for my birthday on July 2nd, please help support the work of the Keep Kids Fire Safe Foundation by donating in honor or memory of someone. 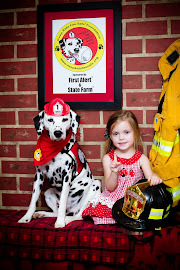 The foundation needs your help to continue its fire safety programming. 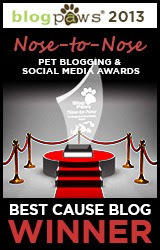 We will read all donors names during my birthday live stream Wednesday night! 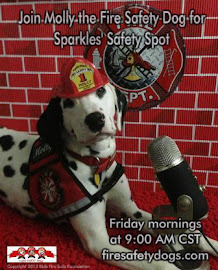 In addition, we will hang a paper paw print up on the wall in Sparkles' Clubhouse with your name on it, or the name of your choosing (please let us know the name on the donation form). 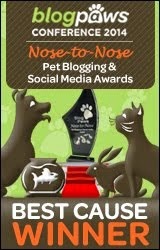 We will be sure to take lots of pictures of the paw prints! 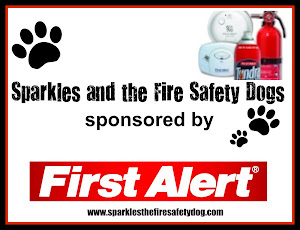 No amount is too large or too small and your donation is 100% tax deductible. Thank you for helping the foundation and me save the lives of children! Cake donated by pattiCakes Bakery. Photo by Bo Hagar.